Aberdeen assistant manager Tony Docherty (right) exchanges words with Rangers boss Steven Gerrard. 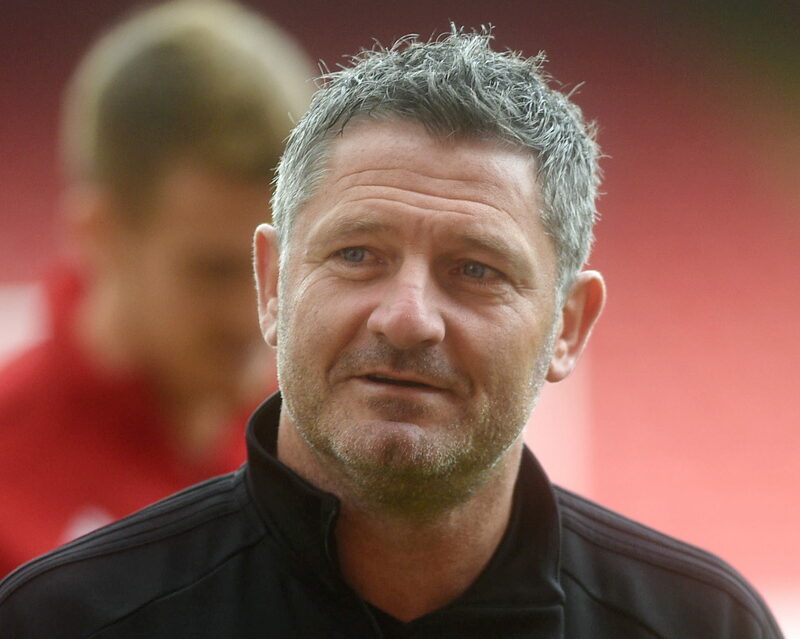 Aberdeen assistant boss Tony Docherty labelled Rangers’ claims pictures close to their dressing room were changed as “absolute nonsense” and their celebrations were excessive. 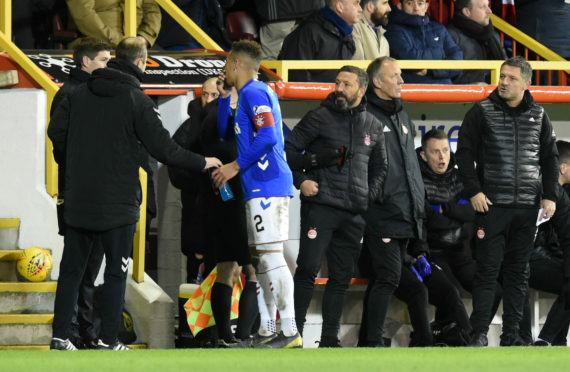 Reports emerged yesterday that pictures had been put up close to the away dressing room at Pittodrie, reflecting the Dons’ 1-0 win over Rangers in the Betfred Cup semi-final back in October, and Gers defender Connor Goldson claimed the players used it as motivation. Docherty, who took yesterday’s press conference rather than manager Derek McInnes, refuted those claims, insisting pictures around the stadium are changed regularly and nothing was done specifically for the game. He also admitted the Dons staff were surprised at the level of celebration coming from the Rangers dressing room and McInnes spoke to counterpart Steven Gerrard. Docherty said: “The history of the club is so important but we had to build our own history; the first thing we did when we came in was we changed most of the pictures. We kept the most important ones from the past but we constantly change the ones along the corridor. “We certainly didn’t do anything specific for that game. I’ve got to refute that – it’s absolute nonsense. There’s ones from the cup final as well against Celtic. If that’s acted as motivation, I can’t comment on that, but we didn’t play any part in putting any pictures up that would upset people. He added that the Dons remained respectful after their wins against Rangers at Hampden Park and Ibrox last year. While Rangers appealed the red card given to Alfredo Morelos on Wednesday night, Aberdeen opted not to do the same with defender Scott McKenna.